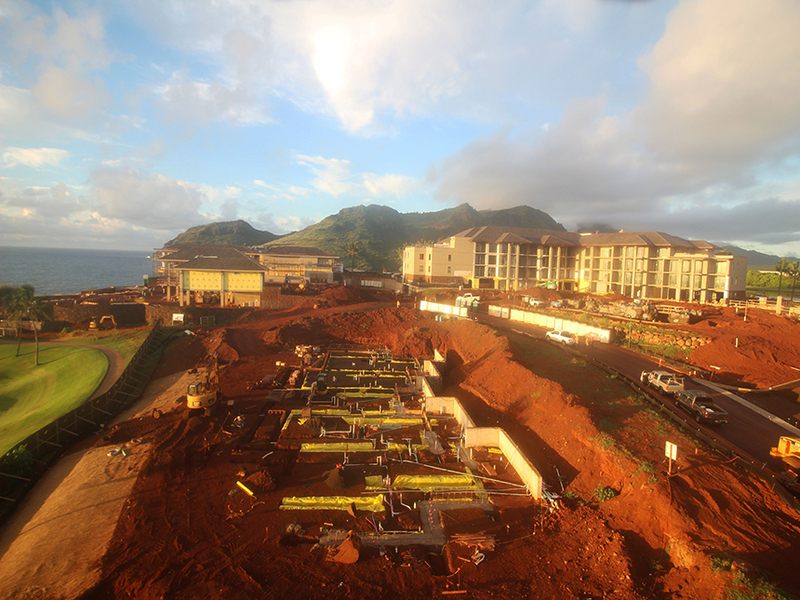 With only 33 weeks remaining until grand opening, progress is happening fast here at Timbers Kauai. 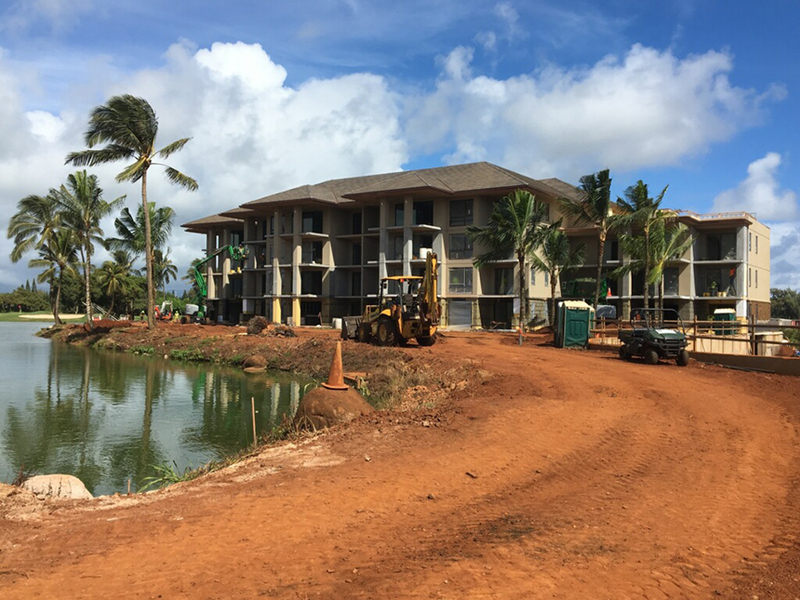 New construction of truly oceanfront residences in Kauai, although extremely rare, affords Owners the opportunity to celebrate traditional Hawaiian architecture combined with all the modern necessities Owners at Timbers Resorts have come to know and love. 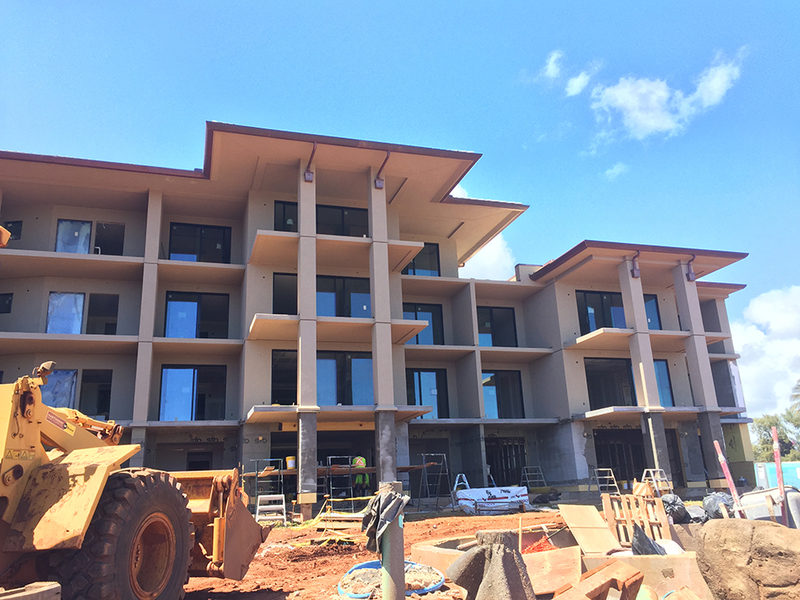 With over 200 workers onsite, the vision of Timbers Kauai is coming together faster than we can say “E komo mai” (welcome home). The big news this month is the reveal of the Maliula building, where scaffolding is completely down and the exterior of the building is now visible! Millwork, flooring and trim is complete in the model residence, bringing us one step closer to opening at Maliula! Over the course of the last few weeks, wall-to-wall stacking glass windows have been installed which has brought the vision of indoor outdoor living to life. The foundation for the family pool grill is in and Owners have already enjoyed their first cocktails in the pool. 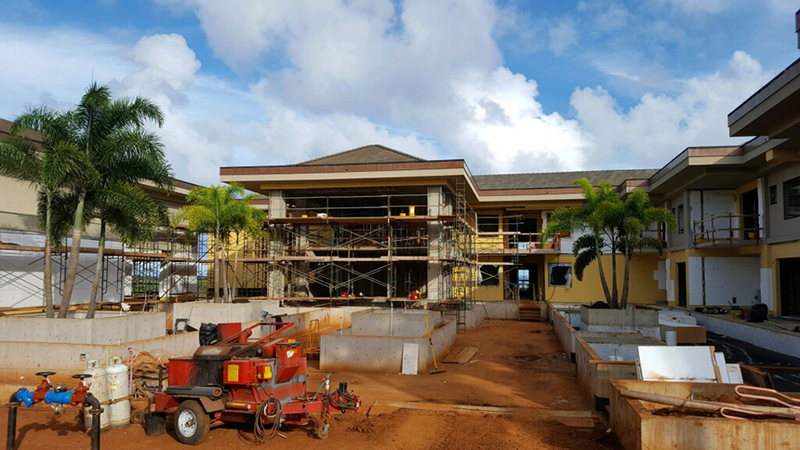 Over at the Kaiholo building, the amenity spaces of the Timbers Kauai resort are taking shape. 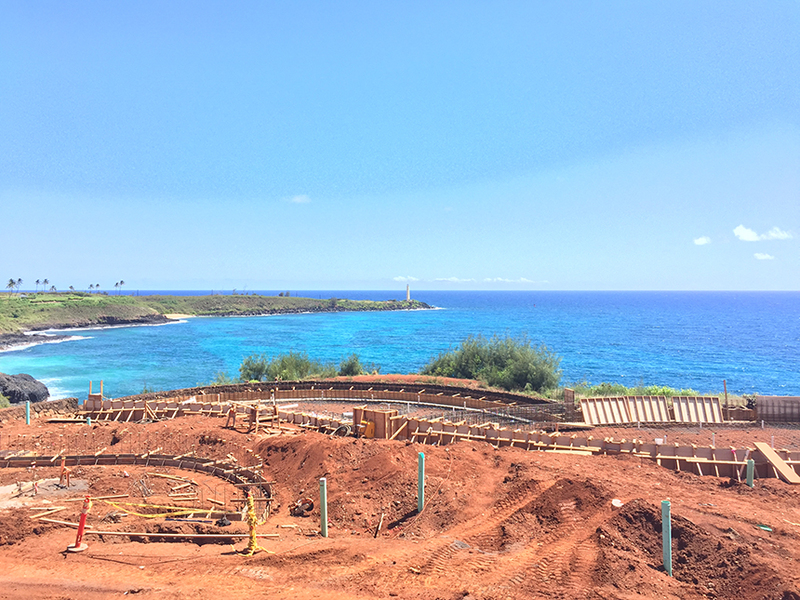 The two infinity pools overlooking the Pacific are showcasing stunning views as the foundations for the pool are laid. Courtyard planters have been installed and are being prepared for the lush outdoor gardens. The first trees have arrived onsite and are being planted around the lagoons and courtyard. Permanent power has been connected to both buildings – let there be light! Underground plumbing has commenced over at Laola Townhomes, where only three whole ownership residences remain available for purchase. Excavation for concrete grade beams and foundation is underway, making this an incredible time to visit for a construction tour! Ownership at Timbers Kauai is unlike any other opportunity on the Garden Isle. Not just oceanfront, but literally on the ocean. With every last detail taken care of and every need anticipated, Owners are left with nothing to do but get even closer to the island and family they love. Having the advantage of a fully turnkey experience, Owners work directly with our expert teams of architects and designers to make the creative process of customizing your home seamless and 100% hassle-free. Call 808-241-6080 or contact our sales team today to inquire about pre-opening incentives and to plan your visit to Timbers Kauai.